AS HE prepares for an overseas tour to visit English Premier League clubs Chelsea and Tottenham Hotspur, assistant coach John Barker is increasingly likely to remain with Carlton after missing out on the senior job. Barker will join a contingent of prospective senior coaches to head to the UK in the off-season as part of an education tour organised by the AFL Coaches Association. The group will also visit the base of F1 giant McLaren and the Leaders in Performance Conference, where an AFL coach will present. Other coaches locked in for the November trip are West Coast's Justin Longmuir, Adelaide's David Teague, the Western Bulldogs' Steven King and Hawthorn's Damian Carroll. 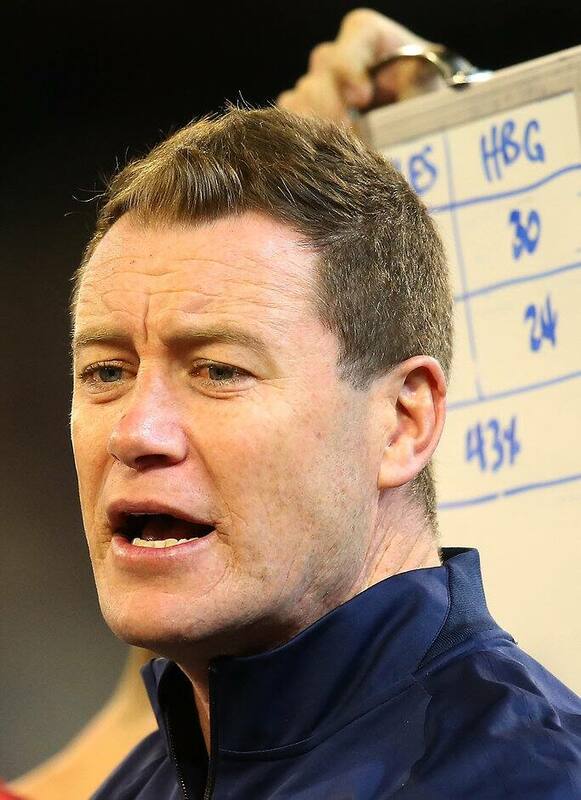 For Barker, it is another step on the path to a senior coaching position after he was overlooked for the Carlton post in favour of Brendon Bolton. It is now likely Barker will stay at the Blues rather than choose to move sideways as an assistant at another club, assuming a clear role can be defined for him in a new-look Carlton coaching team. The Blues expect to finalise Bolton's new-look panel, which could include former Melbourne coach Neil Craig in a director of coaching role, as soon as next week with interviews underway. Barker has also been part of the AFL's Level Four coaching course, which he could decide to continue in 2016 or apply for a closing assessment following his stint as the Blues' caretaker coach. The accreditation program will accept a small intake for 2016, with applications opening in December. As well as EPL clubs, the upcoming UK tour will take in visits to Saracens Rugby, Harlequins Rugby, the League Managers Association, British Racing School and Loughborough University. The centrepiece is the two-day Leaders in Performance Conference, where a yet-to-be confirmed AFL coach will present, following the tradition set by premiership coaches John Longmire and Alastair Clarkson. "The tour is about seeing what change and innovation looks like in different cultures and sports," the AFLCA's Greg Hutchison told AFL.com.au. "We've got access to Tottenham Hotspur and Chelsea, and we'll have a look at their academies and their performance systems. "The Leaders in Performance conference is a great thing for our people to do and Clarko and Kevin Sheedy presented a couple of years ago." Also speaking at the Leaders in Performance Conference will be representatives from the MLB's Cleveland Indians, NFL's Philadelphia Eagles and Baltimore Ravens and Dutch soccer giant AFC Ajax. The AFLCA is running two educational trips in the next two months, with a group of six heading to the US in October for a tour aimed at coaches focused on development. Confirmed so far are Western Bulldogs trio Ashley Hansen, Rohan Smith and Chris Maple, Carlton opposition analyst Barry Prendergast, St Kilda's Peta Searle and Fremantle's Damian Shannon. The group will visit sporting institutions including the NBA's Cleveland Cavaliers, NFL team the Cleveland Browns and St Mary's Tech basketball program.